Serbian youngster Uros Trifunovic joins Partizan Belgrade. Partizan Belgrade signed 17-year-old Serbian prospect Uros Trifunovic, the player’s agent announced on Twitter. 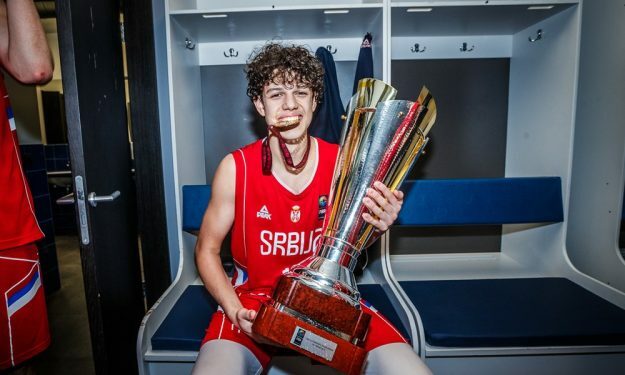 Trifunovic, a 6’6″ shooting guard, was a member of the Serbian U18 national team that won the gold medal in the 2018 U18 European Championship. He finished the tournament averaging 10 points, 4.4 assists and 2.3 rebounds over 30 minutes per game. In the previous season, Trifunovic posted 17 points, 4.6 assists and 3.2 rebounds per game with Pinar Karsiyaka in the Turkish Youth League. With Partizan, Trifunovic will compete in EuroCup, ABA League, and the Serbian League.